Important: Sayed Ahmad al-Safi: The number of the visitors in the Arba'een of Imam al-Hussayn (peace be upon him) for this year 1440 AH is 15.322.949 visitors. His Eminence the Senior Official of the al-Abbas's (p) Holy Shrine; Sayed Ahmad al-Safi, has announced the number of visitors that entered the holy city of Karbala this year to perform the rituals of the Ziyarat Arba'een of Imam al-Hussayn (peace be upon him), during the Friday sermon held in the 23rd of Safar 1440 AH corresponding to November 2, 2018 in the holy shrine of Imam al-Hussayn (peace be upon him). 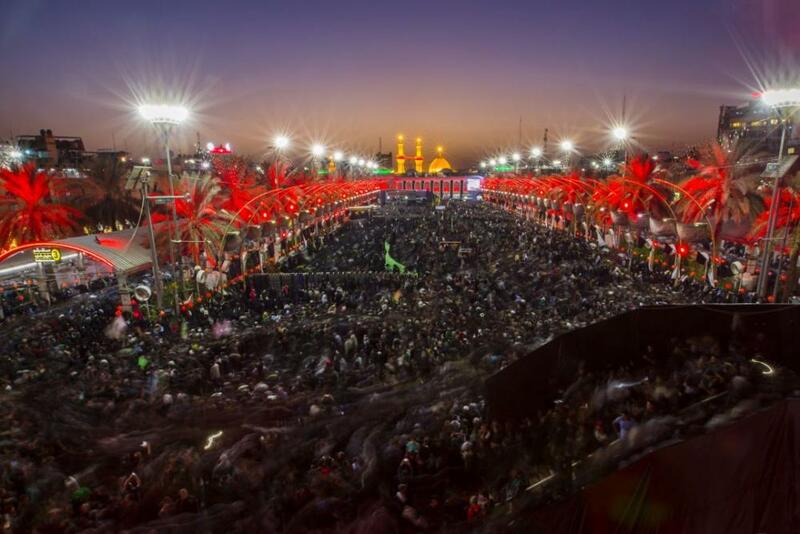 His Eminence added: "The standards we have respected during this statistics are analogic standards, as we have put accurate cameras to count the entering visitors and cars, and we considered the minimum ratio for the transport vehicles entering to Karbala." Concluding: "The number of the service processions have reached this year 10.714 service processions including 225 bodies from 25 countries."